The digital world continues to change the way in which we do business. The world of e-commerce continues to embrace innovation efforts, driven by a variety of factors, such as technology and changing shopping behaviors. In parallel, globalization has placed previously inaccessible markets within reach, thus significantly increasing competition. 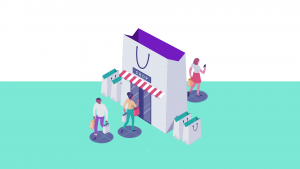 Consumers appear to benefit the most from this wave, as the entrance of new players into regional marketplaces has increased their capacity to shop around and find better deals. With that in mind, it is most important to focus in ways to differentiate products/services from competitors, to boost Customer Engagement and Loyalty. How is this wave of innovation affecting e-commerce, and most importantly how can you monetize on this transition? Here is a quick list of concepts to pay attention to. Instant gratification: The need for instant gratification will continue to play an important role in shaping buying habits, at an ever-increasing rate. Purchasing decisions will continue to be driven by price and convenience, as well as the ability to find new and unique goods. 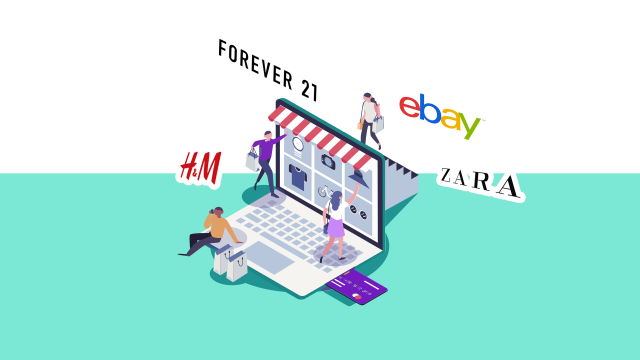 Furthermore, instant access to products and services will be very high in the priority list, especially for new generations that are more tech savvy, and even more likely to share their shopping experience on social media. Less and less, will buyers be patient enough to search from a list of offered products at an e-commerce website. Instead, they will be looking for targeted offerings to their own taste and interest, as well as following automated recommendations, based on previous purchases. E-commerce sites will more likely place a greater effort in identifying new tech-based solutions that empower the client to find what they are looking for, while having fun. Shopping Experience: the desire for a unique, memorable and seamless shopping experience will continue to rise. This is true of products in all price points, yet most notable at higher-end products, with much design and quality. At one point marketing and brand development become more important than the product itself, and as such it becomes more important than ever to develop a unique shopping experience that features fast and efficient search methods. 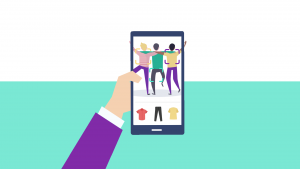 Image-based searches are quickly rising in Asia, and expected to position themselves soon as a leading method to enhance the shopping experience and boost customer loyalty. Twisted Customer Journey: Up until the digital revolution, the way a customer shopped for products and services was largely linear: the customer perceived a need, was exposed to product advertising, and went to the store to complete a purchase. In the near future, the customer interaction with sellers will be, for the most part, never-ending. 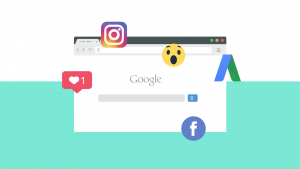 They could start by being exposed to Social Media advertising, performing a Google search, shopping for products at the top-ranking sites featured in search results and reading reviews in their most trusted sources. If followed by a decision to purchase, the buyer-seller relationship may no longer end there, however. 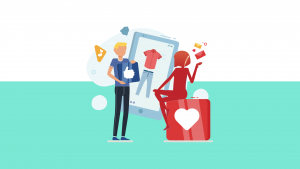 Any top performing retailer or e-commerce site will undoubtedly attempt to identify opportunities of cross selling via targeted advertising, based on the customer’s shopping behavior. Furthermore, the practice of incentivizing buyers to leave positive reviews will play an even bigger role in marketing and branding campaigns. This will prove to be a challenge, given the ever-increasing number of devices that users typically have. Frustration points may need to be addressed, to standardize the offers and coupons that are available across all shopping platforms. Creating a Brand Experience: As stated above, clients are every day more inclined to place shopping and branding experiences high in their decision-making process regarding whether to finalize a purchase. This trend will continue to increase, as marketers fight to increase customer loyalty. As such, less emphasis may even be placed on the product itself and more attention may be placed on how the user interacts with the retailer.